White wines from Ugni blanc and Colombar varietals from the Bordeaux region are first double distilled (“à repasse”) in traditional copper pot-stills and then set down to mature in oak casks, only to be woken from a deep slumber – like a sleeping beauty – by a subject of Her Royal Majesty, who has fallen in love with this absolutely unique elixir from Bordeaux. 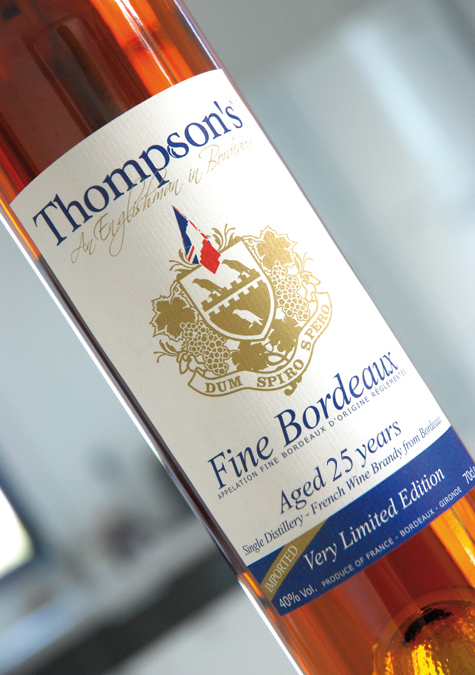 Inspired by the region’s wine making craftsmanship and rich history, resolutely contemporary, the Thompson’s® range offers uniquely selected “eaux-de-vie”, exclusively from the Bordeaux region. 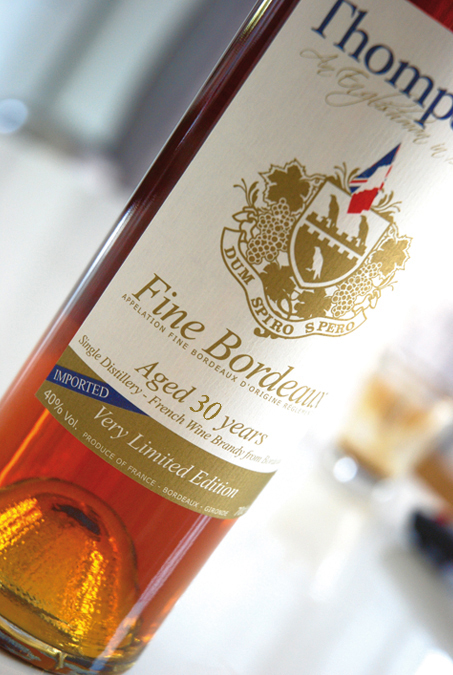 The shared history between Bordeaux, Aquitaine and England is long and rich. The discovery of this forgotten treasure will add a new page to that special relationship. and licorice, which don’t immediately become associated with brandy. In fact, it is a bit whisky-like at first nosing, somehow between the worlds. I am also getting vanilla, soft peppery spice, raisins, green grapes, crystallized oranges, lemons and pineapples. On the palate it clearly presents itself as a grape distillate in a very gentle, light and slightly creamy style. The vanilla and the brighter fruits get bolder and are well in tune with the licorice and hay. This youngest version also finishes like it tastes, a real smooth and light sipper of good quality. Comment: This brandy actually is 26 years old and way heavier and deeper in style than its predecessor, also more typical. Wonderful aromas of tobacco and soft smoke from fine cigars in cedar wood caress the nose as well as some rancio, marzipan and vanilla. Intriguing Indian restaurant smells join in (sandalwood sticks, Tandoori, Ghee butter, curry), very interesting. There also are raisins, prunes, dates, cherries in chocolate, ginger bread, dough, lemon grass, crystallized citrus fruits, pineapple and a whiff espresso to be found in this complex combo. This complexity translates into the palate and the long finish in a full and slightly creamy style that bears gentle smoothness. The raisins take center stage without going overboard. This is better than many cognacs of the same price category. Recommendation! 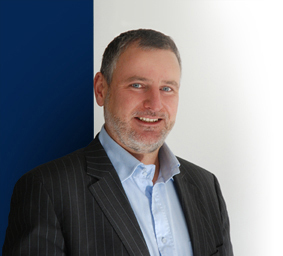 Comment: Here comes the ‚headliner‘, actually being 33 years of age. And how those seven more years in Limousin oak make a difference! There is so much going on in this Fine Bordeaux, amazing. A wonderfully balanced nose without any edges and a depth that displays perfect maturity that reminds me of an old Demerara Rum or a heavily sherried Speyside whisky (Glenfarclas) in its thirties but with still enough trademark brandy features. It is sweeter and darker than the 25. This kind of complexity leaves me speechless: Muscovado sugar molasses, lit cigar, humidor, cedar wood, chocolate-covered coffee beans (mocca), vanilla pod, mahogani, sandal wood, marzipan, old balsamico vinegar, fresh dough, ginger bread, soft smoke, flowerpot earth, geranium, malt beer, walnut liqueur and many fruity elements (dried apricots, prunes with a Hoisin Sauce touch, dates, red grapes and raisins, crystallized oranges and lemon skin) and what not – I kid you not, it’s all there! This elixir from Bordeaux coats the tongue and mouth in fat and creamy fashion and finishes at medium length. Utter bliss. Imagine this dram in cask strength. It would easily rival great cognacs. A ‚must-have‘ at a price point below 100.- Euro. P.S. : I kept this article back to celebrate the first birthday of this blog (not the page) – which is today :)! Thanks for reading, everyone. Here’s to many more years!